With the 2010 vintage safely aging in tank and barrel, it’s time to harvest this year’s crop of wine books, just in time for holiday gift-giving. Here are a few of my favorites. “Reading Between the Wines,” by Terry Theise (University of California Press, $25). Theise is one of this nation’s leading importers of wines from Germany, Austria and Champagne. His cultish following extends to his writings, published annually in catalogues by Michael Skurnik Wines, the company that imports Terry Theise Selections. “Reading Between the Wines” is not a compilation of essays from his catalogs, but Theise fans will recognize his favorite themes and his desire to “remystify” wine. Theise can be tough to pin to a viewpoint; he spins and leaps deftly from one point to the next, discussing each issue from multiple perspectives in a Socratic tour de force. He rejects absolutes, such as the 100-point scale for rating wines or the polemical arguments that wine must be “physiologically ripe,” grown biodynamically or made with natural yeasts. He would rather leave those issues to winemakers than to wine writers. “Wine gets uncomfortably near to theology at . . . times, and it seems a pity to reduce this sensuous, civilizing being to a mere object over whose nonsalient details we squabble desperately,” he writes. This book should be required reading for wine aficionados and also for newcomers who might not yet have put voice to their appetites for new and interesting wines. And if you wonder why wine matters so much to a loved one in your life, let Theise explain. “Matt Kramer on Wine: A Matchless Collection of Columns, Essays, and Observations by America’s Most Original and Lucid Wine Writer” (Sterling Epicure, $20). If Theise is wine’s philosopher, Kramer is its conscience. Kramer is best known as a columnist for Wine Spectator magazine since 1994, but many wine lovers revere his early books, “Making Sense of Wine” and its sequels about California and Burgundy. He does throw some philosophy into his work; gotta love a wine writer who cites Thomas S. Kuhn’s “The Structure of Scientific Revolutions” as a major influence. But Kramer is blunt and to the point, an ideal voice for the short-essay format. 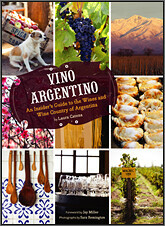 “Vino Argentino: An Insider’s Guide to the Wines and Wine Country of Argentina,” by Laura Catena (Chronicle, $27.50). Books about a particular wine region not only introduce us to the wines, but also to the people who create them and the culture in which they flourish. Catena plays tour guide on an engaging voyage through Argentina’s wine country, from the premier region of Mendoza to Salta in the north and Patagonia in the south. We meet her famous family. 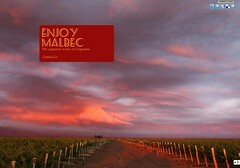 She is the daughter of Argentine wine pioneer Nicolas Catena and owner of her own label, Luca. We also meet the country’s other stars, such as Roberto de la Mota. She gives equal time to foreign contributors, such as American vintners Paul Hobbs and Donald Hess, who have invested heavily in Argentina, as well as French consultant Michel Rolland. “Vino Argentino” is not an encyclopedic reference but a mouthwatering introduction to the wines and culture of Argentina. If the photographs by Sara Remington don’t persuade you to call your travel agent, Catena’s prose and recipes may leave you yearning for an empanada and a glass of Malbec.